Fitz and The Tantrums released a new video for “123456” an upbeat song that is nothing short of cheerful. The video showcases various dancers trading energy vibes with each other. The song marks the first new music from Fitz and the Tantrums since 2016’s acclaimed self-titled album, which featured “HandClap” a song which has logged more than 400 MILLION worldwide streams. Fitz and The Tantrums consists of Michael Fitzpatrick (lead vocals), Noelle Scaggs (co-lead vocals and percussion), James King (saxophone, flute, keyboard, percussion and guitar), Joseph Karnes (bass guitar), Jeremy Ruzumna (keyboards) and John Wicks (drums and percussion). Their debut studio album, Pickin’ Up the Pieces, was released on Dangerbird Records and reached No. 1 on the Billboard Heatseekers chart. They signed to Elektra Records and released their second LP, More Than Just a Dream. Their self-titled third album was released on June 10, 2016. Count It out! Count It Out! Our new single ‘123456’ is available now. 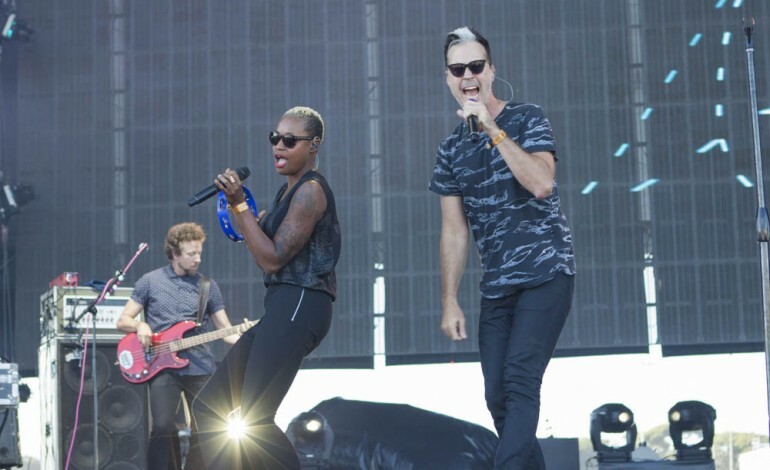 Prior to releasing the album, Fitz and The Tantrums, their breakout album More Than Just a Dream included tracks “The Walker” and “Out of My League.” Both reached #1 at Alternative Radio and helped the band receive well deserved recognition. Young the Giant and Fitz and the Tantrums announced a co-headline North American tour to happen summer of 2019. They plan to hit 24 states with special guests COIN and Alice Merton joining in for certain shows.